-Ajax: You Can Do It, Too! I’m very happy to say that I’ll be speaking at the 2013 Northeast PHP Conference, taking place in Boston on August 16-18. This is the second year of the Northeast PHP Conference, and my first year attending. I’ve heard excellent things about last year’s event, and am thrilled to be participating. 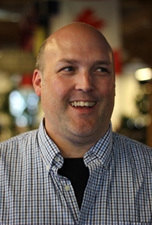 I’m also fortunate enough to know several people in the Boston PHP community now, so it’ll be great to see them again. Q&A => Can You Use .html Instead of .php? This page returns all of the employees in a selected department. This page provides a simple search to retrieve employees by last name. Peachpit Press has just published online another article I wrote titled “Ajax-ifying a Shopping Cart.” The article can be used to expand some of the content in my “Effortless E-Commerce with PHP and MySQL” book. This is the fourth and final article I wrote for Peachpit Press in support of this book (plus the five blog postings).